Rainbow Chooses Lisle Licensing To Hit the UK with 44 Cats! Rainbow – the global content company behind some of the world’s best-loved kids’ brands – has just announced a first-class partnership with Lisle Licensing. for the distribution of its brand new phenomenon 44 Cats across the UK. 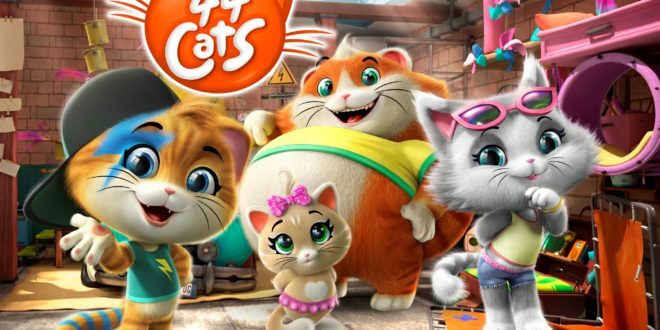 After launching in November 2018 in Italy, 44 Cats debuted in UK on March 4th on Nick Jr. The all-cat property is already enjoying tremendous popularity throughout the world. The 52 x 13’ animated series is an explosive mix of music and cuteness that deals with central themes such as tolerance, diversity and altruism, combining positive values, action and comedy in a sophisticated CGI production for pre-schoolers. The show follows the daily adventures of Lampo, Milady, Pilou, and Meatball – four adorable kittens who are part of a music band named The Buffycats – helping others and always finding creative solutions to everyday hitches. The collaboration with Lisle Licensing adds to a number of agreements that put Rainbow’s hilarious brand in the spotlight, with excellent market response. “We are delighted to be working with Rainbow on 44 Cats. It is exciting to see so many first class licensees already on board with the license, and we can’t wait to get to work. It will be a fantastic addition to our portfolio” says Francesca Lisle Licensing Director Lisle licensing . Rainbow’s Head of CP Sales Matteo Olivetti also commented enthusiastically: “We are thrilled to be working with Lisle Licensing and look forward to bringing the enthralling energy of 44 Cats to the UK”. Among the largest animation studios in Europe, Rainbow is an internationally renowned TV and movie producer that develops and distributes animated and live action series and films for kids and families. The global reception of Rainbow brands has translated into widespread licensing success across a multitude of categories – such as toys, videogames, publishing, apparel and food – across territories throughout the world and through market leading licensees in each category. http://lislelicensing.com/wp-content/uploads/2017/07/lisle-licensing-logo.png 0 0 Nathan Parks http://lislelicensing.com/wp-content/uploads/2017/07/lisle-licensing-logo.png Nathan Parks2019-04-23 17:15:432019-04-24 09:26:18Rainbow Chooses Lisle Licensing To Hit the UK with 44 Cats! Magic Box Toys, the collectible toy specialists behind GoGos Crazy Bones, Star Monsters, Zomlings and SuperZings, is excited to reveal initial details of its SuperZings licensing programme in partnership with Lisle Licensing. Two new board games will hit shelves this summer from John Adams Leisure, while March sees the launch of a brand new SuperZings magazine from publisher DJ Murphy. Hitting shelves in June, John Adams is bringing SuperZings to life with the SuperZings Race to Rescue Pressmatic game. Players take turns to race around the board collecting SuperZings gang tokens and the first player to gain a complete set wins the game. Designed for 2-4 players, the pressmatic game is suitable from age 4 and contains a rare SuperZings character. In the SuperZings Battle Game, players pick a character and a battle power card to decide which battles to face from the double-sided game board. Taking turns to roll the dice to determine which battle power is being challenged, the winner of each contest progresses along the board. The first player to reach the centre and overcome Enigma wins the game to claim the rare SuperZings character! In the first ever publishing deal for Magic Box, DJ Murphy will be launching a monthly SuperZings magazine. This fun-packed, interactive magazine will be full of adventures, activities and giveaways, plus every issue will come with two SuperZings characters. Issue one, which hits shelves in March, has already achieved strong listings. SuperZings are everyday objects brought to life in a fun, comic ‘Hero vs Villain’ rivalry theme. Clad in iconic superhero capes and eyemasks, there are more than 80 multi-coloured characters to collect, each with a matching ‘rival’. The brand has put Magic Box firmly on the map with global expansion into 11 territories outside the UK. Significant marketing investment has been made to support each launch which includes the USA, Middle East, Russia, South America and Indonesia. 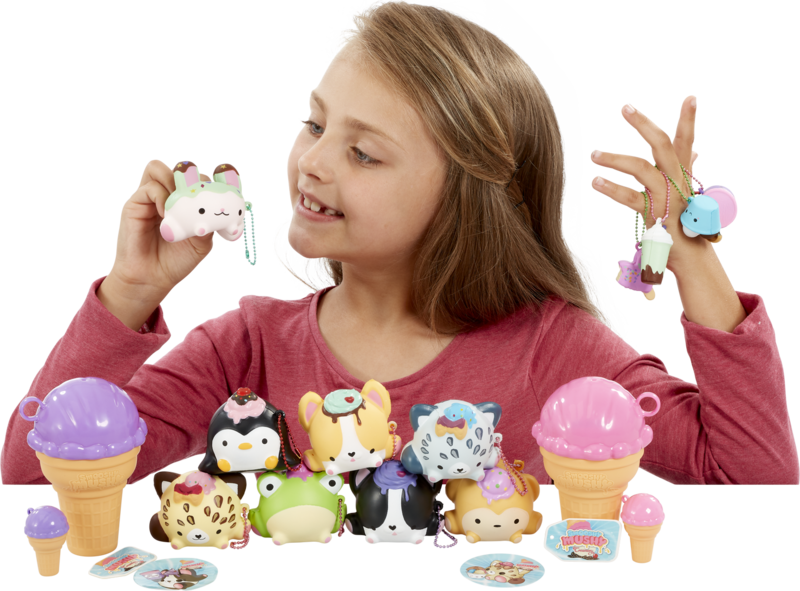 In addition to SuperZings Series 3, Magic Box is also gearing up for the introduction of their brand new IP – MojiPops – which taps into 2019’s popular toy trend promoting mindfulness in children. MojiPops Series 1 is made up of everyday objects brought to life as unique, fun-loving characters with an array of colourful emotions based on popular emoticons. From an ice cream to a cactus, a television to a pillow, each 90p blind-bagged character has a removable double-sided face: flip it over to switch between emoticon-based expressions depicting a huge variety of sentiments, or even swap faces completely with another character in the collection! Children can switch their character’s mood from sleepy to happy, sad to cool, devilish to angelic – there are six different-coloured face pieces, each with two distinct emotions to alternate between. There are 90 different characters to collect, from the worlds of pets, home, nature, travel, music, food and sport, including six ultra-rare Glitter Moji Pops. Lisle has been named as the Worldwide Licensing agent for Dot To Dot Productions hit property ART NINJA. The UK’s top rating art show for 6-12 year olds is now in it’s 5th series for CBBC and ready to move into consumer products. ART NINJA is based around the comical adventures of Ricky Martin and his ‘real’ friends and family, interwoven with exciting and unique art ideas to try at home. ART NINJA moves crafting away from pompoms and sticky back plastic and into the realms of street art, sculpture and awe inspiring big pictures, which are truly ground breaking! Key categories being targeted are publishing, stationary, crafts and apparel. We are delighted Lisle are on board to build a successful licensing programme for ART NINJA, our hugely popular art brand. We want to inspire a whole new generation to enjoy art and achieve their artistic potential. We are excited to be working with Jo and team on this fun and creative license. ART NINJA has proven it’s one of the most popular children’s shows on TV having been on air since 2015 and achieving fantastic ratings! We look forward to presenting this to both licensees and retailers, bringing children product to help promote creativity in the home. As the Tetris® brand prepares for the brand’s monumental 35th anniversary in 2019, The Tetris Company today announced the expansion of its UK & Eire licensing programme with local agent Lisle Licensing. Lisle Licensing is growing its licensing program for Tetris with new partners confirmed across games, apparel, publishing, footwear and promotions. The range in merchandise includes the award winning Tetris Dual tabletop game to a new brainteasing Puzzle Book which demonstrates the Tetris fan base’s appetite for the brand. “We have been really pleased with the ranges created for Tetris and the response so far from the UK market, and with further partnership discussions in progress, we are looking forward to more Tetris product creativity for fans in 2019. We will be exhibiting Tetris at this year’s Brand Licensing Exhibition, stand M40, and the diary is filling up so prospective partners should get in touch soon to book an appointment,” said Gayle Goldsmith, Director of Lisle Licensing. Aykroyds & sons and TDP will be launching a range of nightwear, underwear and swimwear. IG Designs have signed up for greetings, gift-wrap and paper arts and crafts. Bluesky Designs will be developing a unique range of stationery, bags and lunch wear. Bandai will be extending its line to include an arts and craft line. Bioworld International will be running a range of daywear both in the UK and France/Belgium. Roy Lowe & Sons will launch a range of fabulous socks. Further licensees will be announced at a later stage. 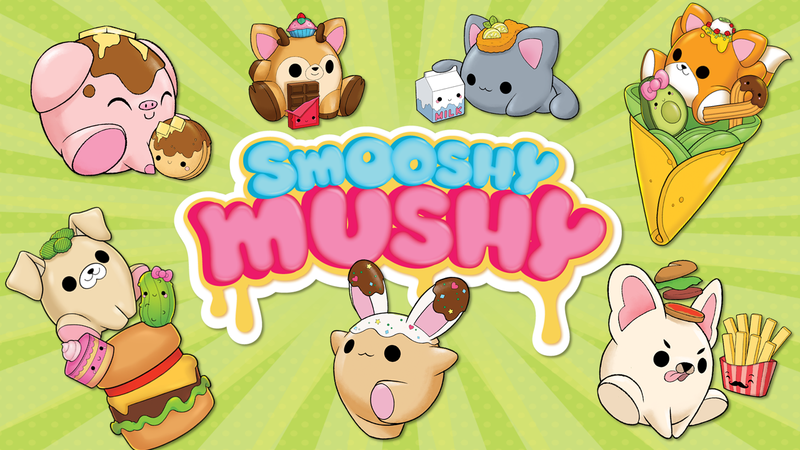 In addition to a robust and highly sort after branded licensing programme, Olo Industries and Redwood Ventures will be supporting the brand expansion of Smooshy Mushy™ with short form animation in conjunction with Wild Brain. Masha springs into The Entertainer! Animaccord, the rights holder of the worldwide hit animated family show, Masha and the Bear, together with one of the largest UK toy retailers, The Entertainer, will partner together to carry out an exciting spring retail campaign, which will start on the March 22nd and to the April 25th During the campaign, The Entertainer’s shops will be set up with the fabulous branded Masha and the Bear’s POS displays, featuring the hilarious characters creating a fun environment, which will be supported by interactive Meet & Greet events with the Masha costume character allowing children to meet their favourite mischievous hero. The campaign will also feature various online activities such as social media contests with prizes from Animaccord partner, Simba Smoby Toys. The previous joint campaign with The Entertainer, which ran in Autumn of last year, almost tripled the sales of Masha and the Bear toys from the Simba Dickie Group in the EMEA region. Lianne Barber, Senior Marketing and Licensing Manager of The Entertainer: “The Entertainer is pleased to have the opportunity to focus on Masha and The Bear again for a four week campaign. Last time the results more than exceeded our expectations and we look forward to seeing similar results for this campaign” Richard Belford, Sales Director of Simba Smoby Toys adds: “The Entertainer has been a key retail partner and supporter of the Masha and The Bear toys range since launch in 2016 and is a real destination for Masha fans. This two part joint campaign will really create a sense of retail-theatre at Entertainer stores, which will drive sell through of the toys and new lines in Q4 2018. Masha and the Bear is proving to be a big hit in the UK on Sony Pictures Television Networks’ pre-school channel, Tiny Pop (Freeview 207, Sky 617, Freesat 605 and Virgin 737). The show debuted on Tiny Pop last December and is now a top-rating show, with viewing figure growing steadily. The show airs each weekday at 07:00 and 17:00, and at weekends at 07:00, 11:30 and 17:30. Netflix, Cartoonito and Boomerang also show Masha and the Bear in the UK. http://lislelicensing.com/wp-content/uploads/2017/07/Spacer.png 20 300 Nathan Parks http://lislelicensing.com/wp-content/uploads/2017/07/lisle-licensing-logo.png Nathan Parks2018-03-27 15:23:312018-03-27 15:26:33Masha springs into The Entertainer! New York, NY – March 15, 2018 – HISTORY announces “Evel Live,” an unprecedented three-hour live event created in partnership with Nitro Circus Media Productions, premiering Sunday, July 8 at 8PM ET as part of the network’s second annual car week. During “Evel Live” American professional motorsports icon Travis Pastrana will honor legendary daredevil Evel Knievel by attempting three of his most dangerous feats in Las Vegas, Nevada, all while riding a modern day recreation inspired by the motorcycle Knievel used. These include: breaking Knievel’s record jump over 50 cars, another record-breaking jump over 14 full size buses, and aiming to make history as the first person to successfully jump the Caesar’s Palace fountain on a bike similar to the one Knievel used 50 years ago – an attempt that ended with a crash that left him grasping for life. If Pastrana rides away from all three, he will be the only person to successfully beat two of Knievel’s distance records and land a jump over the fountain on a v-twin motorcycle. All of this will happen in the span of just three hours, and HISTORY will capture every exhilarating, nerve-wracking moment live. Alongside the three epic jumps will be live interviews with Knievel and Pastrana family members, archival footage of the history behind Knievel’s many daring jumps, and expert analysis. Evel Knievel was the world’s first iconic daredevil. Spanning a career of 15 years that saw 75 spectacular motorcycle jumps – and a few harrowing accidents – Knievel created a legacy that inspired generations and left audiences in awe of his audacious feats. Fast forward to the present day and Pastrana has stepped into Knievel’s shoes as America’s modern-day daredevil. Inspired by his predecessor, Pastrana was the first person ever to land a double backflip on a motorcycle and now leads Nitro Circus’ team of skilled athletes and adrenaline-charged thrill-seekers, which for 15 years have thrilled millions worldwide with their daring exploits. “Evel Live” is produced by Nitro Circus Media Productions. Trip Taylor and Dave Mateus are executive producers for Nitro Circus Media Productions. Zachary Behr, Sean Boyle and Mary Donahue are executive producers for HISTORY. HISTORY®, now reaching more than 96 million homes, is the leading destination for award-winning series and specials that connect viewers with history in an informative, immersive and entertaining manner across all platforms. The network’s all-original programming slate features a roster of signature series including The Curse of Oak Island, Forged in Fire, Alone, Pawn Stars, American Pickers, as well as the hit drama series Vikings and SIX. The HISTORY website is located at history.com. Follow us on Twitter at twitter.com/history and Facebook at facebook.com/history. For more press information and photography, please visit us at http://press.aenetworks.com. Nitro Circus, the world’s biggest action sports entertainment brand, creates electrifying live events and unbelievable original content that at once exhilarates, captivates and inspires thrill-seeking fans worldwide. Co-founded by global superstar Travis Pastrana in 2003, Nitro Circus has since grown into a multiplatform phenomenon producing hit television shows, critically acclaimed documentaries and innovative digital offerings. That success gave rise to the Nitro Circus Live tour. 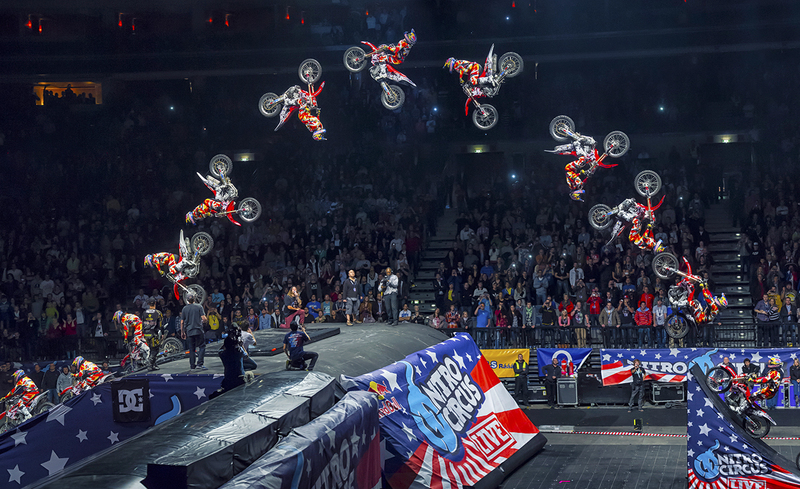 Created in 2010, Nitro Circus Live has travelled the globe, playing to sold-out stadiums on five continents. The company introduced an innovative breakthrough in 2016 with the debut of Nitro World Games, completely rebooting action sports competition in the process. With over three million tickets sold to date, television programming that has aired in over 60 countries, more than 20 million engaged fans across its social media platforms and a burgeoning consumer products business, Nitro Circus is at the forefront of action sports and entertainment. For more information visit nitrocircus.com. 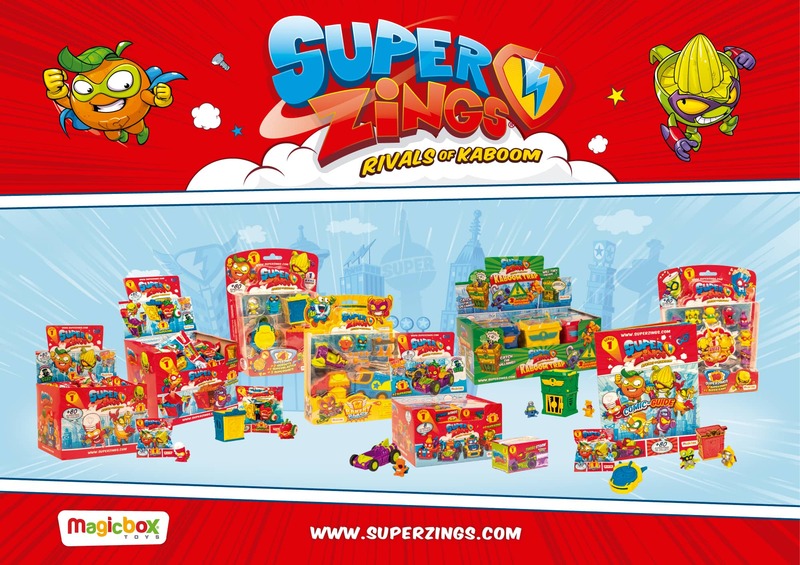 Magic Box Toys International is celebrating the outstanding launch success of brand new collectible range SuperZings: Rivals of Kaboom following a strategic 360-degree communications campaign which resulted in sales of more than half a million units within the first four weeks. 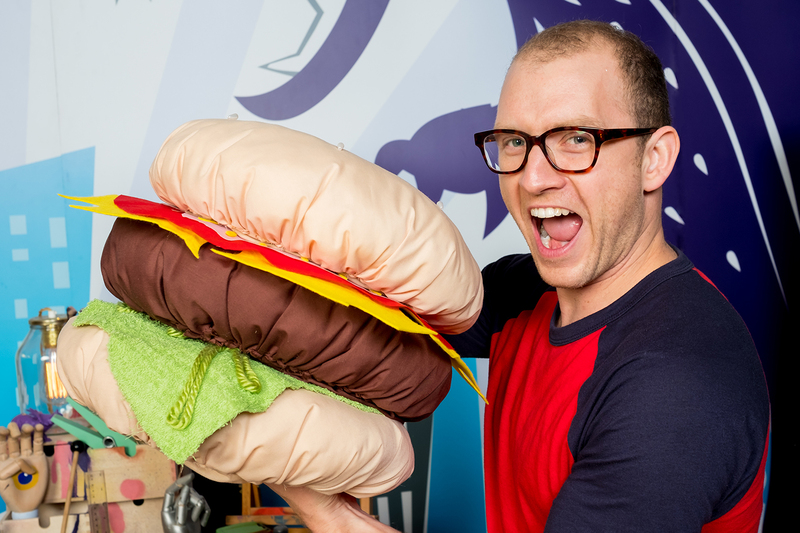 The primary school initiative – SuperZings Show & Tell Super Heroes – was designed for Year One classes specifically to turn the popular “Show & Tell” classroom moment into a much bigger and more engaging experience for five- and six-year olds across the UK. An initial wave of 200 schools received a free pack containing an expert guide for teachers to get the most out of children using Show & Tell, as well as posters, stickers, a specially-created SuperZings Show & Tell Superhero cape and eye mask as well as 20,000 blind bags for children to take home. In addition, Magic Box went ‘back to school’ and spent the day with children filming a ‘kids say the funniest things’-style video series for use on social media, UKMums.tv and YouTube. The series saw children answer questions such as “Who’s your real-life superhero?” and “If you had a superpower, what would it be?”, with some hilarious responses. The video series has already been viewed more than 25,000 times on Magic Box’s Facebook page alone. To align the brand with parents and to generate talking points around the launch, a news generation poll of children aged 4-6 years and their parents investigated their opinions on real-life superheroes – enabling extensive media coverage of the themes associated with SuperZings. The news story generated a reach of over 1 million as well as over 200 pieces of coverage including Mail Online and The Huffington Post. The two-week take-over of UKMums.tv included SuperZings homepage graphics and dedicated page content such as SuperZings Webisodes, 12 blogger reviews, competitions and social media exposure which led to a reach of over 1.3 million. In the second week of the site take-over, Magic Box hosted an hour-long Twitter Party led by five top parenting bloggers in partnership with SuperZings’ retailer, The Entertainer. The Party engaged almost 200 contributors and achieved 3.6 million impressions during the hour. The combined social media activity has seen follower numbers surge across all Magic Box’s channels, has successfully raised awareness of the new collection and has driven sales at retail. Children have also been getting their hands on SuperZings through extensive sampling within Gulliver’s theme parks and various soft play centres across the country. As well as receiving a SuperZings blind bag with each children’s ticket purchase, Gulliver’s is also including SuperZings in their birthday party goody bags. Lisle Licensing has been named by OLO Industries, LLC, in partnership with RedwoodVentures, Ltd, as the European licensing agent for Smooshy Mushy™, the hugely successful squishable slow rise collectible line. Both will leverage the friend-inspired squish line, first introduced in Fall 2017, with its vast loyal consumer base. Lisle Licensing, who has managed brands across different categories of licensing since 2010, will customize a strategic brand and marketing program that supports the Smooshy Mushy trademark into additional categories in the United Kingdom and Europe. For more information about Smooshy Mushy, visit: Smooshymushy.us. Hitting UK shelves this month, the SuperZings are everyday objects brought to life in a fun, comic ‘Hero vs Villain’ rivalry theme. Clad in iconic superhero capes and eyemasks, there are more than 80 multi-coloured characters to collect, each with a matching ‘rival’ which adds a fun new dimension to the collectible mechanic: unwrap a hero orange – ‘Mr C’ – and you’ll want to find his rival, ‘Jack the Juicer’! Discover an ice cube and you’ll need to find the hairdryer! All living together in Kaboom City, there are 36 regular characters available in two different colour-themes, plus six Silver and two Gold ‘Rare’ and One Enigma ‘Super Rare’ SuperZing. The figures all have their own superpower and profile, use colourful collectible pocket-money-friendly Supercars to get around (eight to collect) and live in cool Hideouts (eight to collect) which can also be used to launch characters into the air. “From the second we were introduced to SuperZings, we knew it was an extremely new and exciting toy line which would lend itself perfectly to licensed merchandise. “With a large number of retailers already on board with the toy line, 2018 is set to be an exciting year for SuperZings and we can’t wait to introduce this brand to licensees and retailers. We are truly delighted to be working with Magic Box.